Sleep matters, no matter how small you are. While you might think that your newborn's sleep pattern is way out of sync with the rest of the world, sleep training techniques work alongside your baby's developmental milestones to encourage self soothing and a better night's sleep. These patterns begin immediately and become more fine tuned in the first few months of life. Sleep counselors and professionals recommend holding off on sleep training until the recommended 4-6 months of age. While official sleep training takes the back burner in the first few months, sleep shaping is a different approach that parents can implement from the very beginning. Sleep shaping is a great precursor to help parents better meet their sleep training goals when the right time comes. When can you start sleep shaping? Sleep shaping begins early from birth to the first eight weeks. As babies get confused with day and night patterns, a great way to get their circadian rhythm developing is to expose them to daylight during the day and keep their space dark at night. 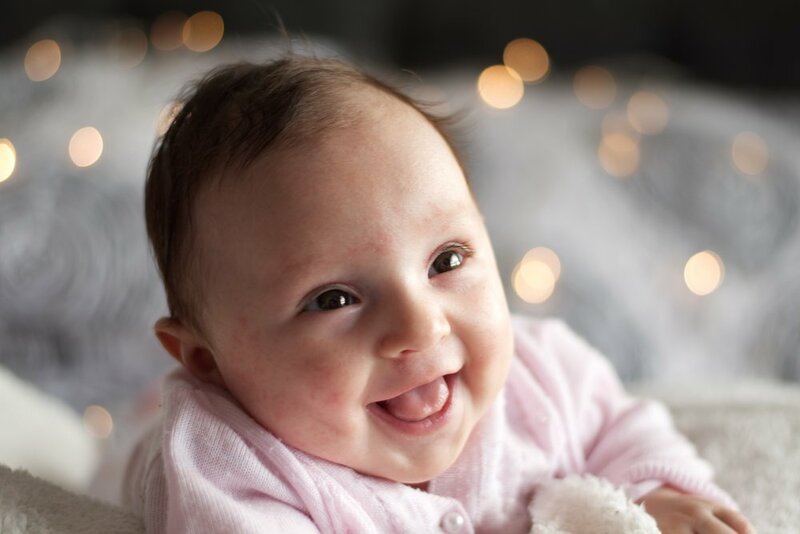 Around 8 weeks your baby will likely become more attune to their environment, show sleepy cues in the evening, alertness during the daytime and begin smiling at different stimulations. At this point, getting your baby used to being in their crib is a solid foundation for your later sleep training routines. Your baby will begin to create cues that they're getting sleepy and will associate their nursery with sleep. This is a step that is all packed into formal sleep training regimen. In the evening between 6 to 8 weeks, your baby will start to send you cues to let you know it's bedtime. These can be as subtle as rubbing their eyes or as dramatic as an after-dinner temper tantrum. Pay close attention to these cues and you'll begin a night time routine that will sync at the same general time each day. While your baby at this stage will have inconsistent times they get tired, the consistency is key in establishing that foundation. How is sleep shaping different? Sleep shaping shouldn't be confused with sleep training. Sleep training often requires specific methods to base your schedule off, while sleep shaping is a gentle introduction of different comfort measures and bedtime routines for an infant younger than 6 months. Sleep shaping principles are established by a different set of developmental milestones than at the six month age group. Sleep shaping parents are concerned with trying different comfort measures, bedtime routines and learning what works best for their family. Sleep shaping is a unique opportunity for parents to bond with baby and gently introduce bedtime routines. Any practice is good practice and in these early developmental phases. Routines are flexible and forgiving and parents can try different bedtime strategies that they are most comfortable with or that feels best for their unique family. A sleep shaping routine can help create the framework that will jump start a formal sleep training regimen when the time is right. Until then, enjoy bedtime and every little experience along the way!